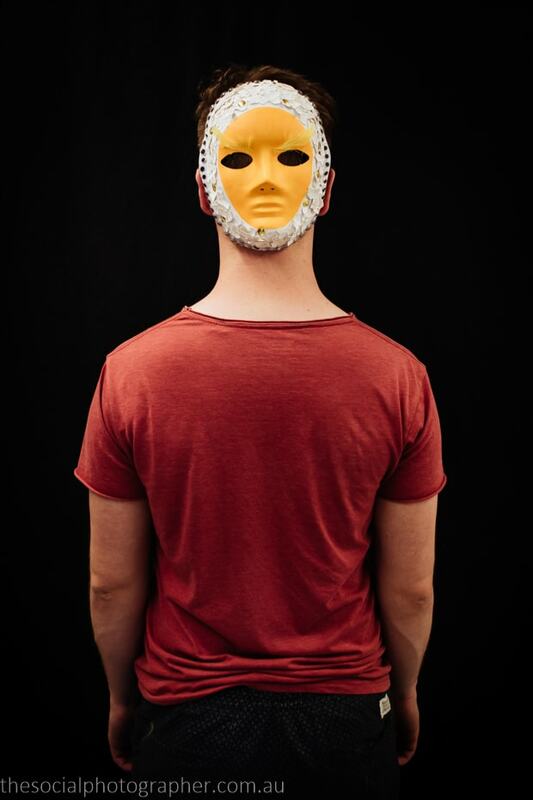 James Conlan: My mask, entitled Breaking Out, symbolises the gay struggle. The inner yellow is the egg yolk, the shells represent the barriers we face, which is slowly splitting and breaking apart. The outward eyes show that, despite out challenges, we are looking outwards and forwards. My mask, entitled Breaking Out, symbolises the gay struggle. The inner yellow is the egg yolk, the shells represent the barriers we face, which is slowly splitting and breaking apart. The outward eyes show that, despite out challenges, we are looking outwards and forwards.